When it comes to maximizing a solar investment, timing is everything. Most Arizona homes end up with their highest energy bills during the summer months, so it's natural to not think about going solar until that first painful summer bill arrives. But you certainly don’t have to wait for the hot weather to enjoy the benefits that solar energy offers. In fact, having a residential solar energy system installed on your home during the spring is actually more financially beneficial than waiting till summer to start the process. Between banking energy credits to use during the hot summer and taking advantage of diminishing solar incentives, spring is one of the best times to go solar. If you've been considering going solar, read on to learn why now is the time to make the switch. Solar installation is more involved than having a central air conditioning unit installed, so it’s important to allow more time for it. From permits to required inspections, the timeline can easily extend into weeks or even months during the peak installation seasons. Having your system installed in spring helps ensure that your home or business is fully ready for summer's most brutal days. When temperatures begin to heat up, your home will have a more cost-effective energy source to draw from while your non-solar neighbors will have to purchase increasingly expensive peak-season power from the local utility. Many Arizona residents also have the opportunity to earn energy credits from their utility provider for any excess solar energy. During the cooler months, the majority of Arizona solar customers generate more electricity than they consume. Utility companies credit these homeowners for that excess power, allowing them to use those credits during the hotter summer months. If you want to be ready for summer, it’s vital to have your solar system operational in the spring so that you have credits to draw from later. As more and more homes switch to solar, installation companies get busier. Waiting until summer could lead to longer wait times. Inclement weather - such as monsoons - or excessively hot temperatures can also dramatically extend the installation timeline. Scheduling solar panel installation in spring is the best way to avoid packed summer schedules or unwelcome surprises from mother nature nature. 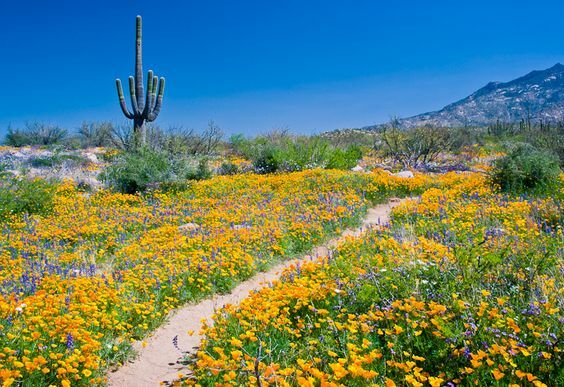 In short, installing in spring offers the best chance of being ready for the Arizona summer. A quality solar partner can help guide you through the solar purchasing and installation process, but even with professional assistance, the whole journey can take several months from start to finish. Getting started early is the best way to ensure you’re ready for summer, while heading off any utility rate changes that typically pop up as we approach the hottest time of year. 2019 marks the final year for the 30% federal solar tax credit. Next year it drops to 26%, then 22% in 2021 before disappearing entirely for residential customers by December 31, 2021. In addition, state incentives are also ramping down. Keep in mind, your system has to be installed and commissioned by your local power utility to qualify for these lucrative tax credits. So, if you've been considering solar, act soon and start saving by summer. *This blog has been updated since it's original publishing date of 3/3/2016.